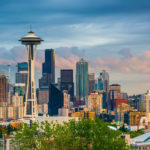 We returned last week from the SHSMD Connections conference in Seattle from Oct 6-10 where we were excited to join thousands of healthcare marketers, creative strategists, and integral supporting vendors. 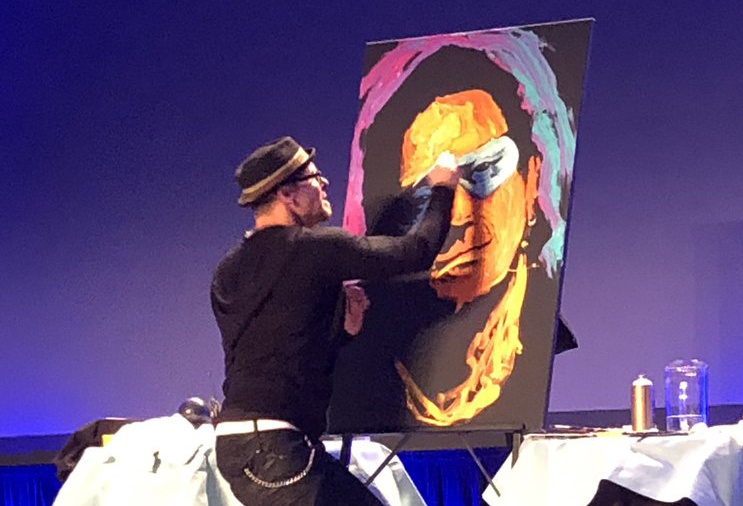 The SHSMD organizing team successfully addressed serious topics with an event infused a sense of fun and playfulness – including a street artist as a keynote speaker and an energetic event at the Museum of Pop Culture. 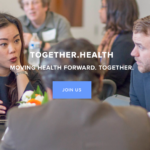 Actively transform your healthcare organization’s brand to be more personalized and human. A perfect execution of being “H2H” and following the 2 guidelines above is the Thank You project. 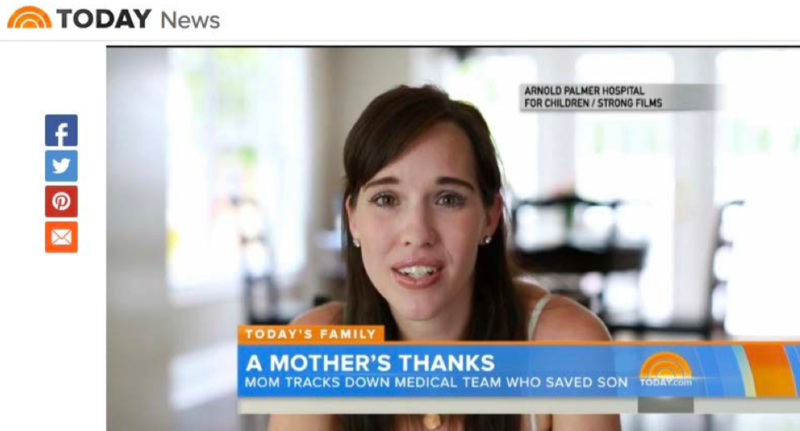 The project was a several-minute video that followed a mom’s journey in thanking the doctors and nurses who saved her infant son’s life from a devastating car crash. Michael Schmidt from Orlando Health Foundation and Lisa Arledge Powell of MediaSource, explained their process in creating the idea for the project, how they executed it and then the incredible coverage it received. They attributed its success of 5.1 million YouTube views and 109 million views across all platforms to the fact it was so human. If you decide to watch the Thank You project video, grab a box of Kleenex…you’re going to need it! In addition to learning about best practices, SHSMD members agree that getting recommendations about vendors and references for partners from their colleagues at SHSMD is extremely valuable. 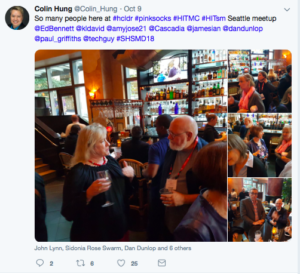 Several years ago, Ed Bennett, a healthcare marketing industry veteran, asked himself why this collaborative activity of sharing of vendor experience couldn’t live on past industry events like SHSMD, HCIC, and Forum for Healthcare Strategists. 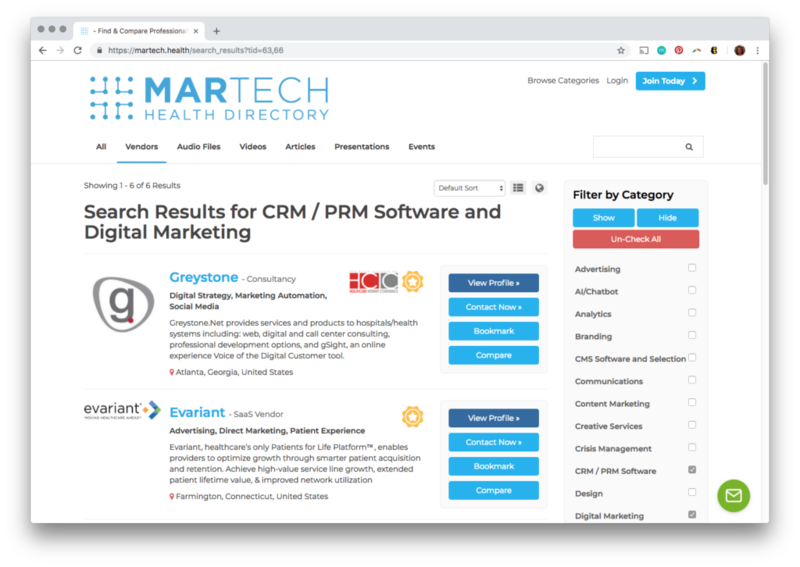 Therefore, Ed founded MarTech.health, which currently has reviews from healthcare clients about the vendors and partners they contract. 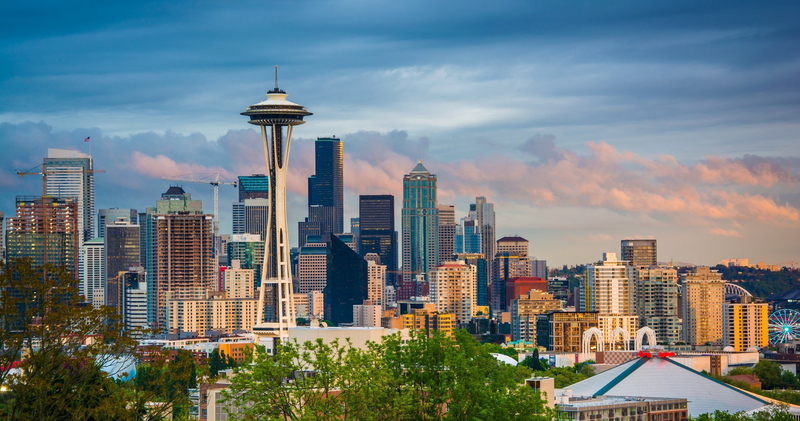 From leading industry trends and insight from colleagues, SHSMD brings healthcare strategists together to discuss what is next on the horizon. 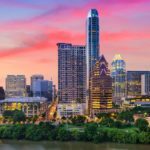 Carrie Aiken, Head of Industry for Healthcare at Yext shared how “voice isn’t coming, it is here”. According to the Yext Patient Voice Search Survey, 2018, 1 out of 10 people have used voice to search for health information. She elaborated that while most marketers think that their website is their digital front door, that is incorrect. According to the Digital Marketing Report by Greystone, 2017, 17% of patient visits come from branded property (website) where 52% of the budget is spent, while 83% of patient visits come from other non branded properties where only 1-2% of budget is spent. She urged marketers to audit and refine all the non branded websites that patients are finding their organization. She explained making content easy for voice is essential. Interested in learning more about voice technologies role in the future of healthcare? Check out Voice.health. Lastly, it would not be an industry event without an incredible, dynamic community. 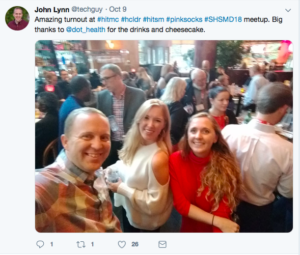 It was a pleasure sponsoring the Meetup hosted by John Lynn and Colin from Expo.health who rallied #hcldr #pinksocks #HITMC and #HITsm communities and brought Twitter IRL (that’s twitter speak for “In Real Life”). 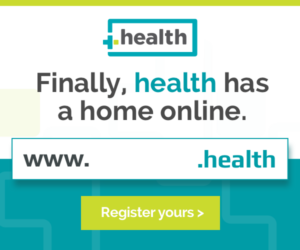 We’d be remiss if we didn’t mention our reason for being at SHSMD – to ensure that your organization has secured your .health domain name to protect your brand(s)! Please don’t blame it on the legal department or the tech team if someone registers your organization’s name before you do. 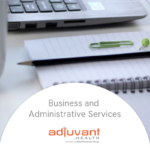 Be sure your organization registers names relating to your brand(s), which you can do right here! If your website is currently YourBrandHealth.com or YourBrand.org, you should register YourBrand.health – You might plan to just redirect it to your main web presence at first, but it is a great marketing asset to have at your disposal – especially as a branded shortener!